We have this thing about bananas at our house. No matter what, we always have one single banana that goes brown before we eat it. If we buy 8 bananas, we'll end up with one brown one. If we buy 2 bananas, we'll end up with one brown one. I don't know what's wrong with us, or how this happens, but it seems like week after week I'm putting one single overripe banana in the freezer. 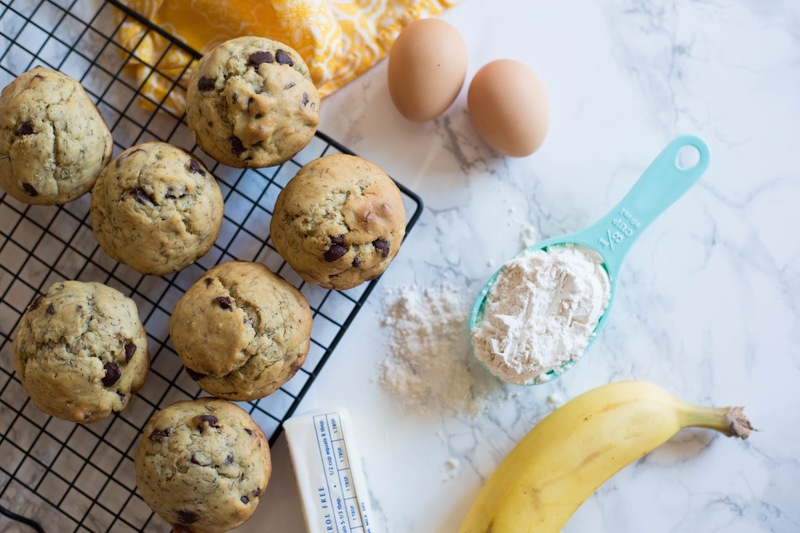 The good news is that every three weeks, we have three bananas in the freezer, which means we can make banana chocolate chip muffins. I can't say enough good things about this recipe. There are no rare ingredients, so we always have everything on hand. They're soft, they're delicious, they're mild, they store well, and they have chocolate chips in them. 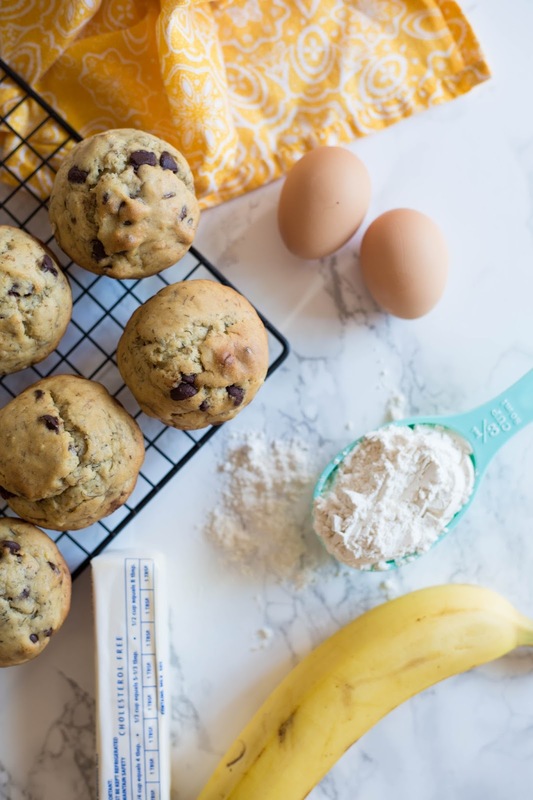 I whipped up this batch last week, and we have one muffin left this morning, which of course I will generously give to my daughter for breakfast. Or else eat it quickly myself before she wakes up for the day. Either one. 2. Mix together the first 6 ingredients in a medium-sized bowl. 3. Add the flour, baking soda, salt, and chocolate chips, and stir until just moistened. Batter will be slightly lumpy. 4. 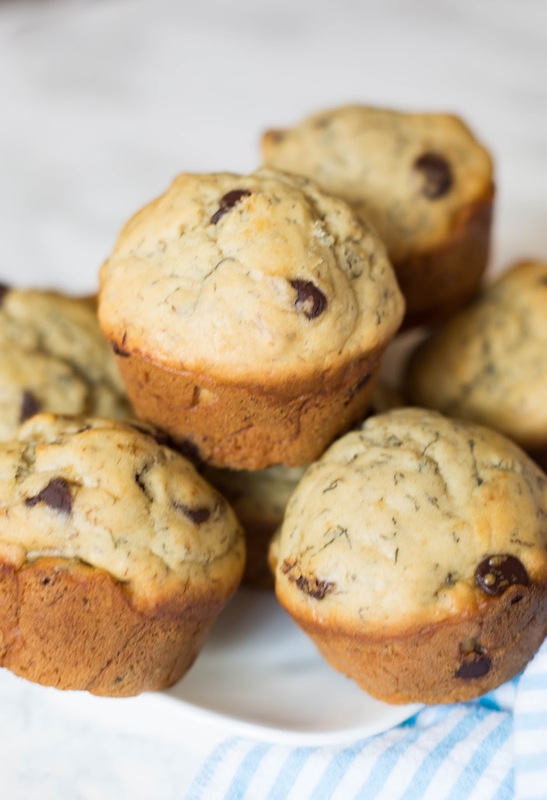 Grease a muffin tin (or use cupcake liners), and fill each container until 2/3 full. 5. Bake for 20-25 minutes or until barely browned on top. Makes about 24 muffins. *The only possibly tricky ingredient is buttermilk, which I never have on hand, ever. But there's an easy substitute: just use 1/2 cup milk + 1 teaspoon vinegar. Works like a charm! 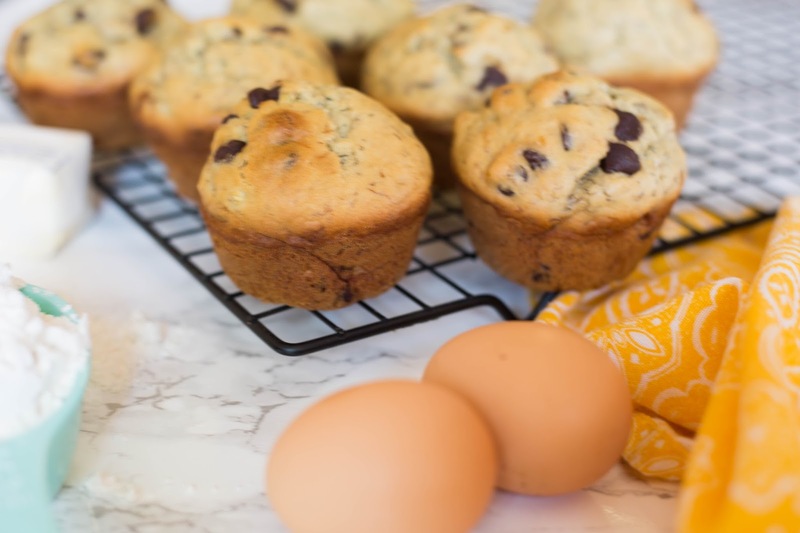 *I like my muffins tall and heaping, so I usually fill the liners 3/4 full and end up with about 18 larger muffins instead of 24 smaller ones. P.S. If you're in a sweet tooth mood, try the Arizona Sunset (my favorite mocktail!) or this divine chilled cheesecake.